BAOFENG UV-6R is a dual band radio. 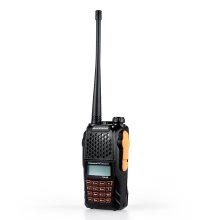 This easy-to-use radio will deliver you secure, instant and reliable communication at peak effciency. Level Threshold"Squelch" adjustable from 0 to 9.